I AM A HOME BASED BUSINESS OWNER IN THE TRAVEL INDUSTRY. I AM A PART OF A TRAVEL SOCIAL NETWORK WHERE I TRAVEL THE WORLD AT WHOLESALE PRICES, MEET AWESOME LIKE MINDED INDIVIDUALS AND GET PAID FOR DOING IT. I WAS LOOKING FOR A WAY TO SPEND MORE TIME WITH MY HUSBAND AND 3 YEAR OLD DAUGHTER AND TO STOP BUILDING SOMEONES ELSE’S DREAMS, BUT TO BUILD MY OWN. THIS CONCEPT WAS INTRODUCED TO ME, NOW I HAVE THE TIME FREEDOM TO DO SO. I HAVE AN ONLINE SYSTEM, TOOLS, ADVERTISEMENTS (IE: REFERRAL MARKETING, FACEBOOK, FLYERS, NETWORKING EVENTS) AND LOCAL LEADERSHIP IN PLACE TO HELP MARKET MY BUSINESS. I DON’T MANAGE EMPLOYEES; I EMPOWER MY BUSINESS PARTNERS TO FOLLOW THE SAME PATH BY BECOMING A HOME BASED BUSINESS OWNER. WITH ANY START UP BUSINESS, IT’S A SACRIFICE AND STRUGGLE. FOR ME, HAVING THAT FULL SUPPORT CAN BE CHALLENGING AT TIMES. I RECEIVE THE MOST JOY BEING ABLE TO HELP PEOPLE BUILD THEIR DREAMS AND EXPERIENCE THINGS THEY HAVE ONLY DREAMED OF DOING. IT’S EASILY BALANCED FOR ME BECAUSE MY HUSBAND AND I ARE IN BUSINESS TOGETHER. WE ARE OUR OWN TEAM. IT ACTUALLY ENHANCES OUR RELATIONSHIP AND FAMILY LIFE. 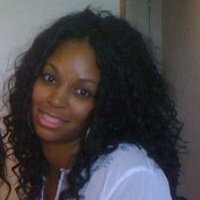 RACQUEL HALEY ABNER IS THE YEN PLUS DIRECTOR OF THE HOTTEST MOVEMENT IN THE WORLD (VISIT WWW.YENMOVEMENT.COM). WE ARE A GROUP OF ENERGETIC, LIKE MINDED ENTREPRENEURS OF ALL AGES, ASSISTING OTHERS TO REACH NEW HORIZONS IN THE FREE ENTERPRISE WORLD.